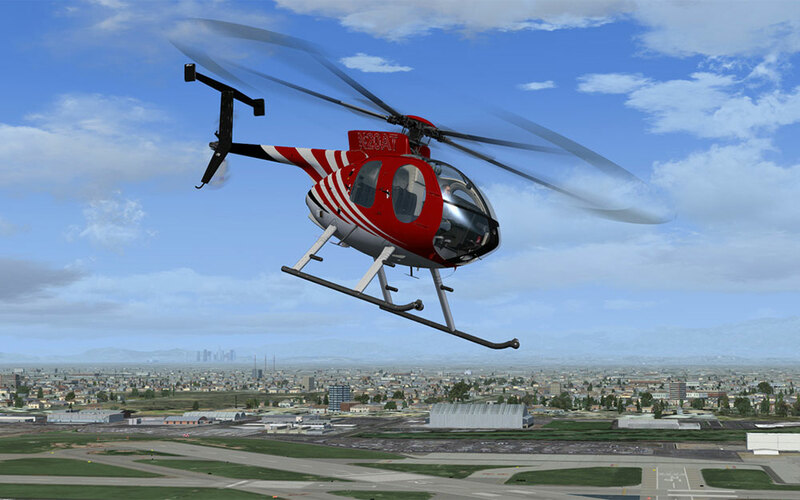 Belonging to the MD 500 series, the MD 530F is a five-place, single-engine, multipurpose helicopter with a fully-articulated five-blade main rotor system, and a two-blade tail rotor for anti-torque. 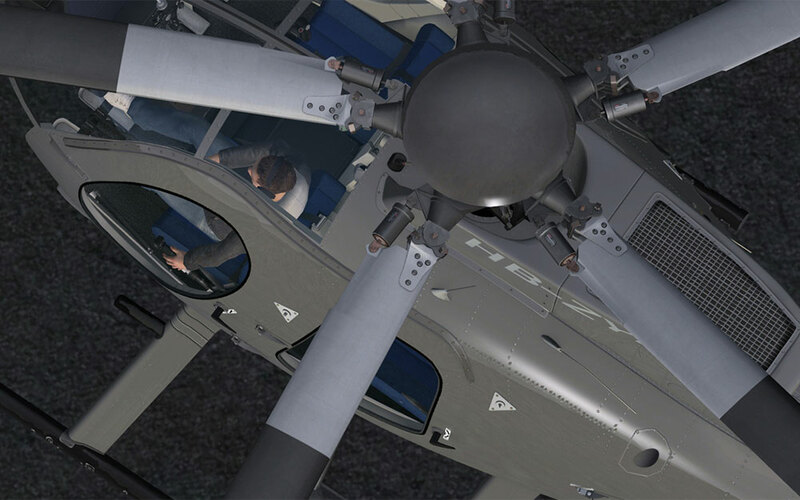 The teardrop-shaped, aerodynamically efficient fuselage features an unobstructed forward 160-degree vertical and 220-degree horizontal cockpit field of view. 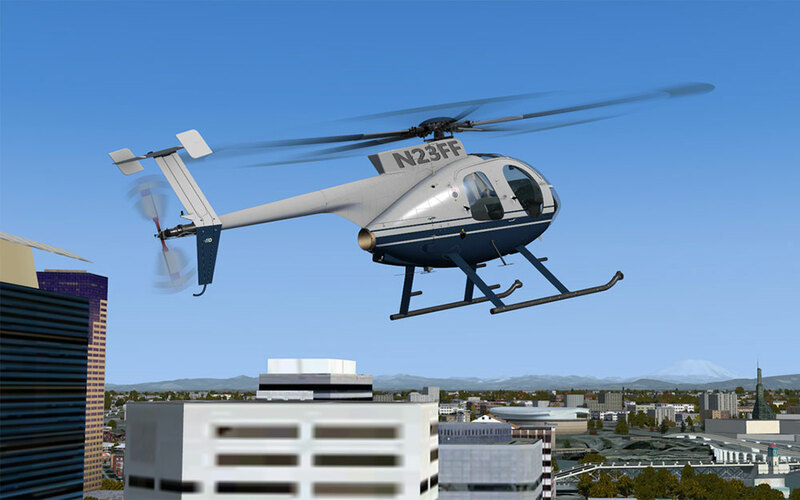 Equipped with a 650 shp Rolls-Royce Model 250-C30 turboshaft engine, the MD 530F is extremely effective in hot-day and high-altitude operation. 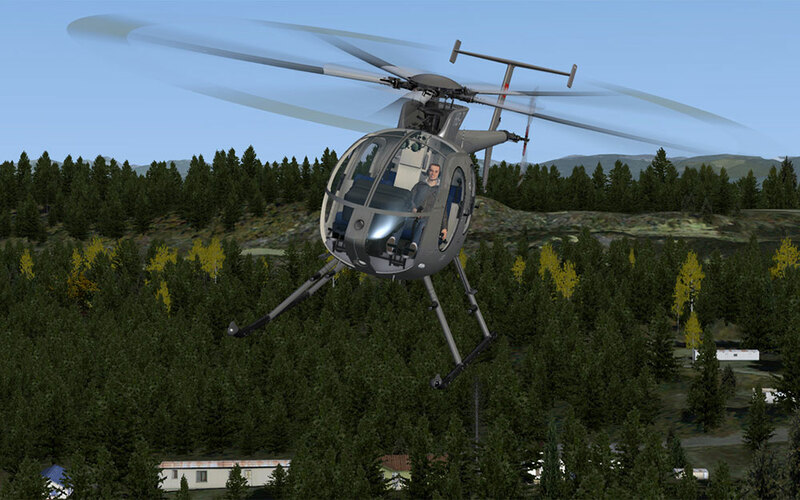 It's typical mission profile includes executive and personnel transport, air medical services, airborne law enforcement, along with many other operations where it's class-leading performance is a required asset. 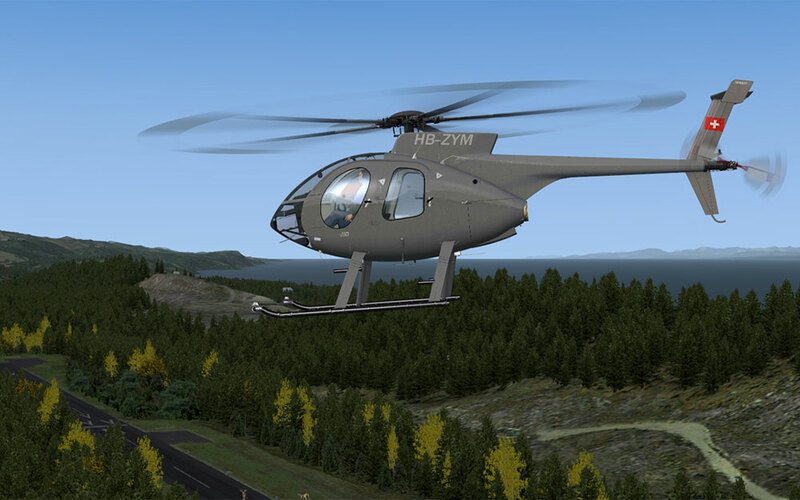 We are very pleased to offer you our version of the versatile MD 530F helicopter, with support for multiple platforms, including most versions of FSX and P3D. 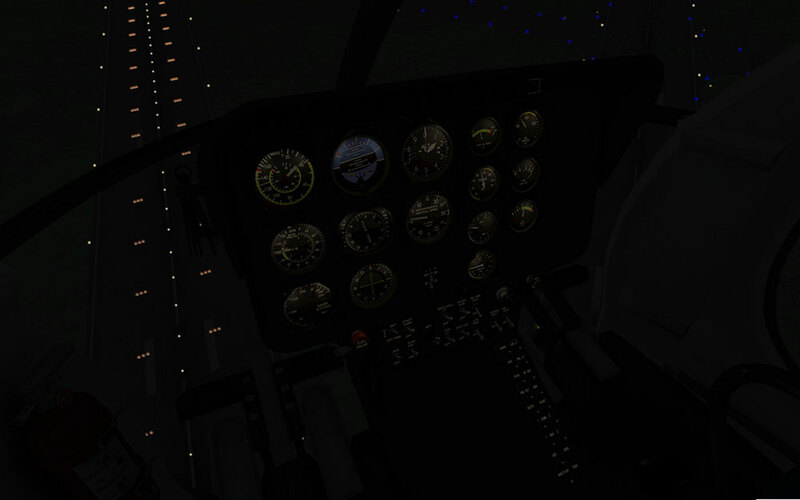 This release brings together everything you've come to expect from Milviz; extremely detailed modelling and refined graphical excellence, superb night lighting, smoothly modeled gauges, highly accurate systems, realistic avionics and excellent flight dynamics. As with all of our releases, our goal with the 530F is to get you as close as possible to the real machine. 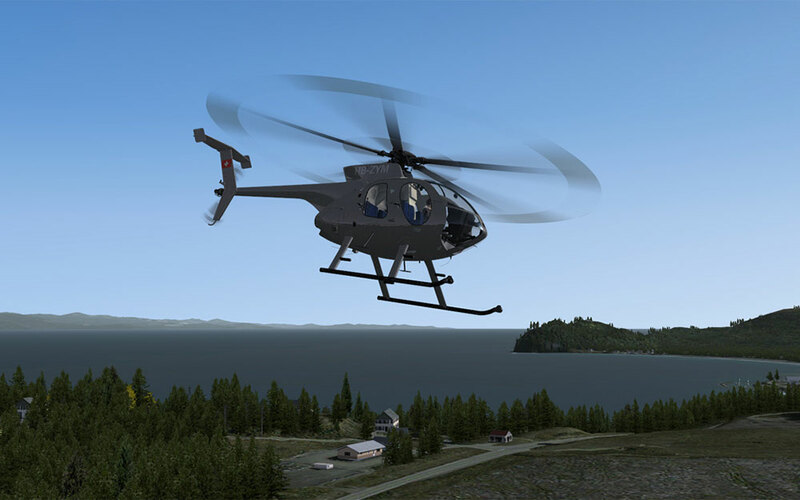 While the Cargo Hook, FLIR Camera and the Carry Pod are purely cosmetic options for your helicopter, the Night Sun is completely controllable through key commands, and the Emergency Floats really do their job, allowing you to land on water without sinking. In addition, all options are able to be set per livery through our Aircraft Configuration Manager, allowing you to outfit your 530 fleet in any way you want. Please note that compatibility for the above gauge packages includes support for installation and setup of our product only; use of any of the offered options requires a functional existing installation of the appropriate gauge. In addition, any gauges we list compatibility for are not included with the Milviz 530F. 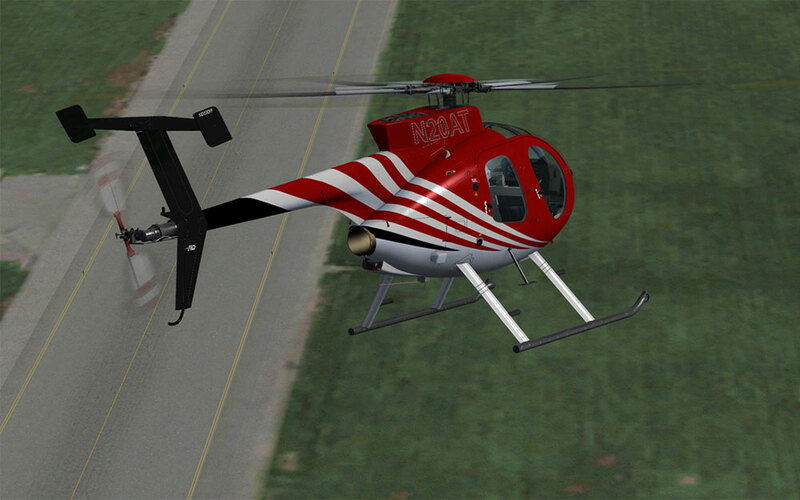 We are very pleased to provide with this package one of the largest selections of liveries we've ever offered, created not only by our own talented artists, but also by some of the best texture artists in the flight sim community. 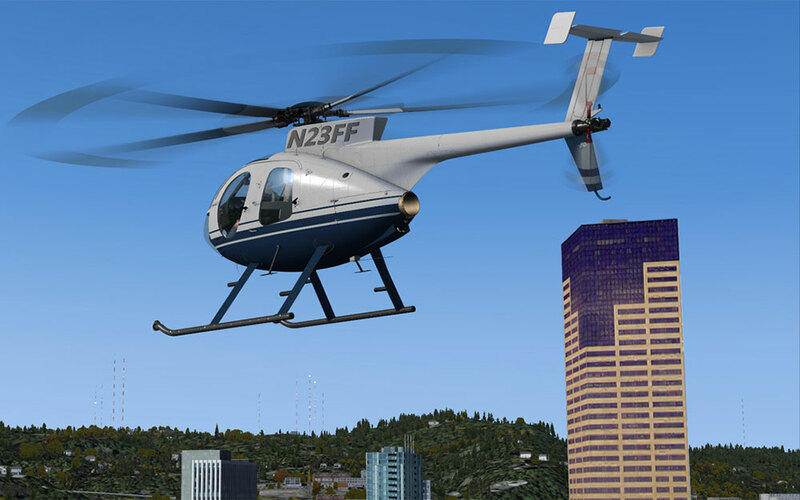 A choice between 18 highly detailed liveries means that you get a wide variety of helicopters to take your next flight in! 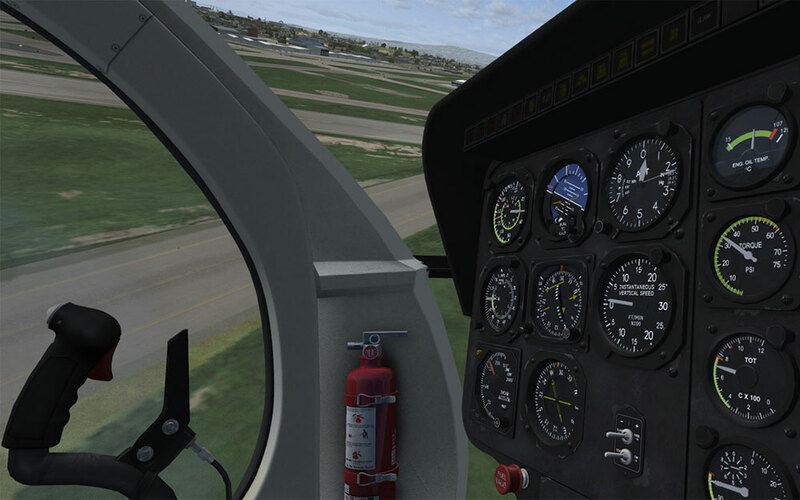 The ability of setting these options per livery means that you don't have to choose a single static setup for your entire hangar; you can configure any livery with any combination of options in order to always have a 530 ready for whatever you have the time for! To use the new force trim option use the AMS and click on the new "Controls" section for the 530, and assign a key or button to the force trim trigger. When you are in the cockpit, you must enable the force trim by using the two previously unused switches labelled OVSPD TEST and FAULT TEST. (picture below.) The one on the left turns on the force trim system when in the Up position. The one on the right enables the force trim to work with the rudder too when UP. 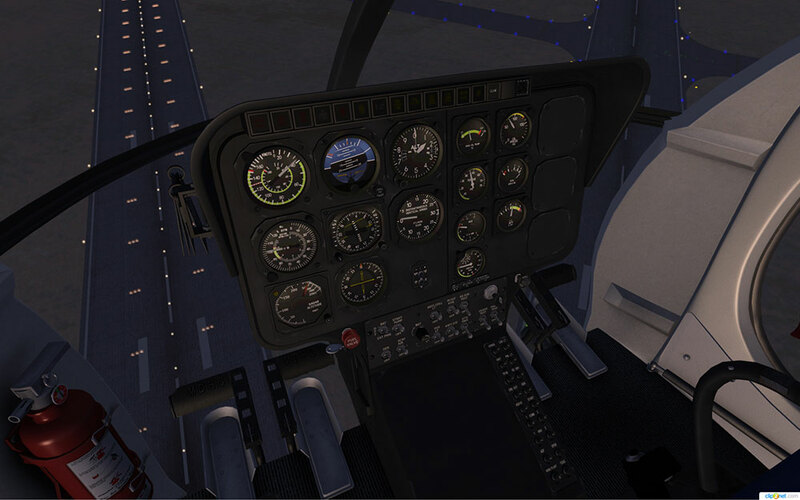 With a key assigned in AMS and both switches up, a press on the force trim button will make the current cyclic and rudder petal settings the new center point. 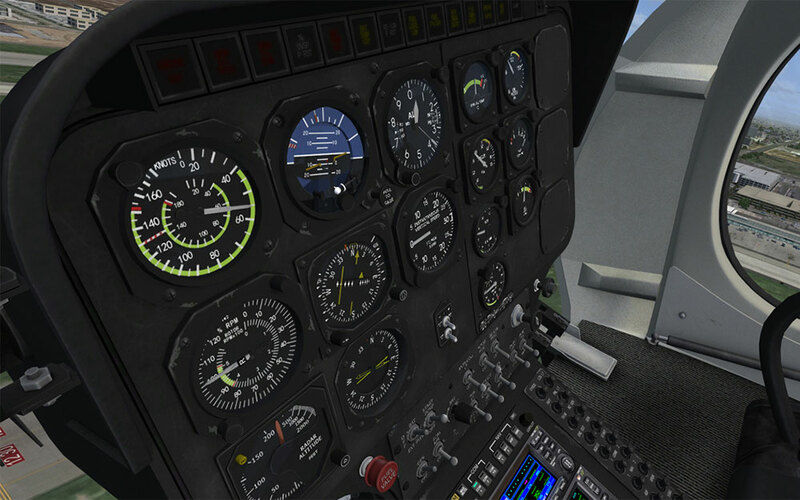 Thus as soon as you press force trim, return the joystick (and rudder if you have that switch up) to the neutral position. 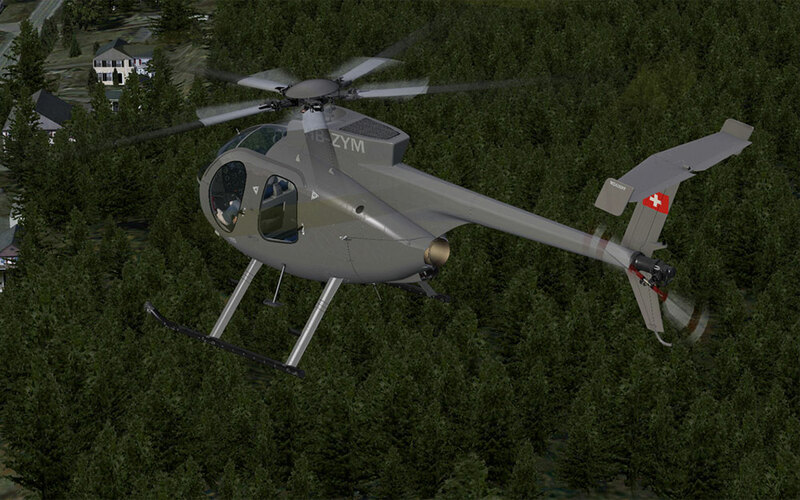 The helicopter should retain its current trim. You can use force trim as often as you'd like. This can take a great deal of the work out of flying. 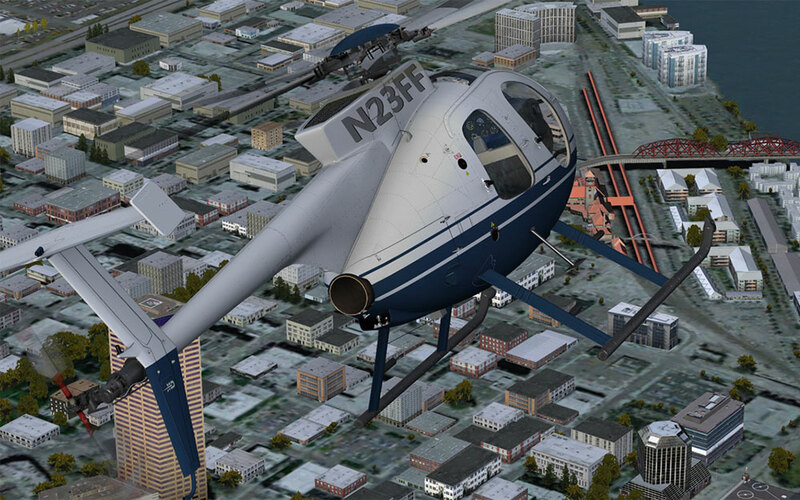 The real MD530 did not have a force trim, we're adding it as a optional "quality of life" enhancement. 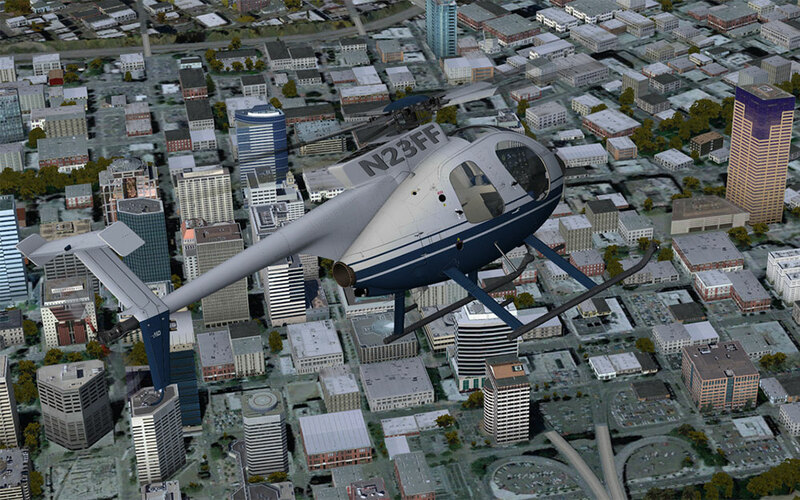 The Milviz 530F package also now includes addon and avionics options that were, at one time, seperate purchases. These have now been included in the multi-installer. 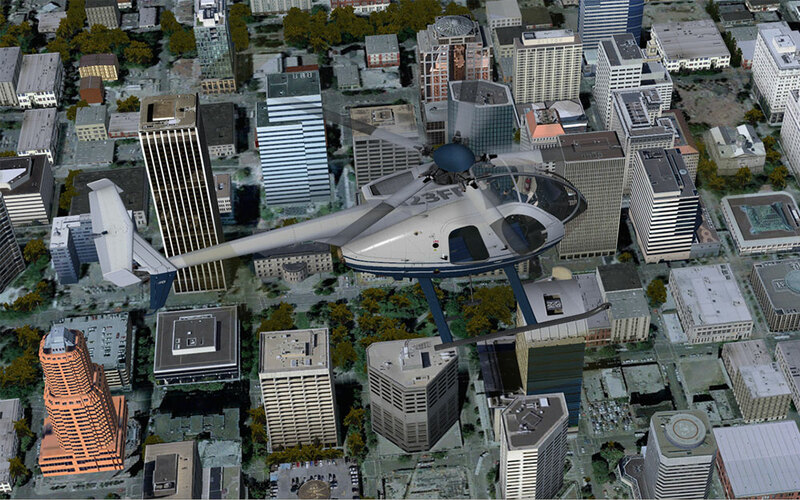 In addition, the 530 installer also has a new format that eases installation, letting the user select which platform to install to, as well as what avionics options are to be installed. 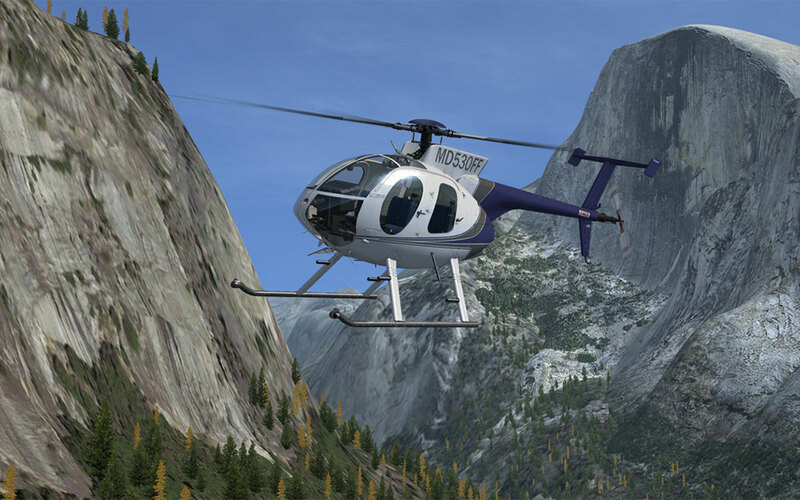 Important: Please note that all of the current default analog and digital avionic equipment installed in our general aviation aircraft and helicopters is based on underlying simulator code and as such, is subject to various deficiencies which are not able to be addressed by our team. This includes our GNS 530 / 430 units, audio panel, transponder, ADF unit, and nav/com radios. 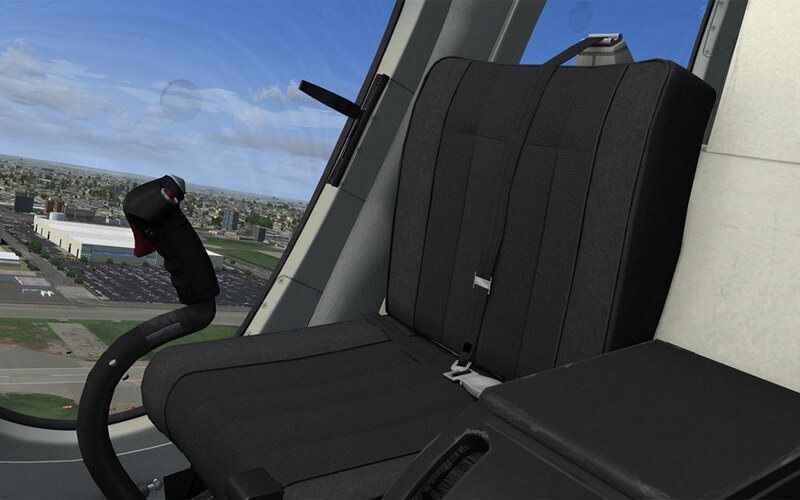 Due to the inherent limitations present in the simulator, we are therefore unable to provide fixes or support for any issues related to the operation or functionality of these items at this time. 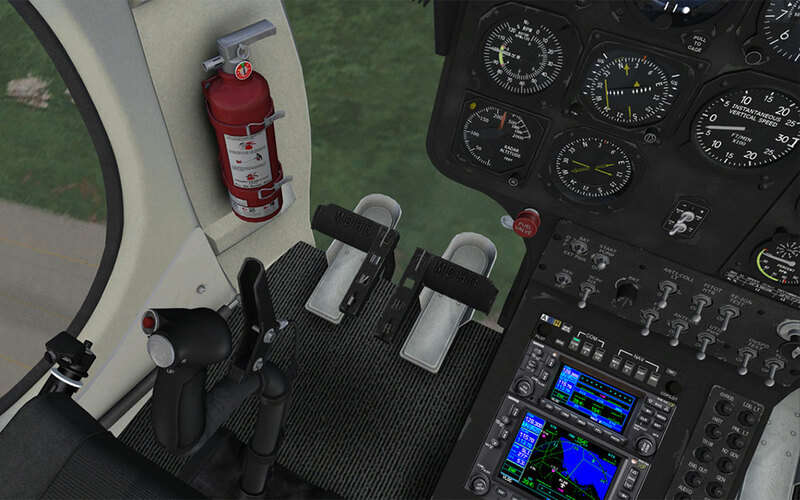 Includes all addon and avionics options that were previously a seperate purchase.